We are so proud to announce this incredible honor from Christie’s International Real Estate. The Overall Affiliate of the Year award is the highest honor bestowed by the world’s leading real estate network. Hawaii Life CEO and Principal Broker Matt Beall accepted this top global recognition on behalf of the company this past week in Paris, France. 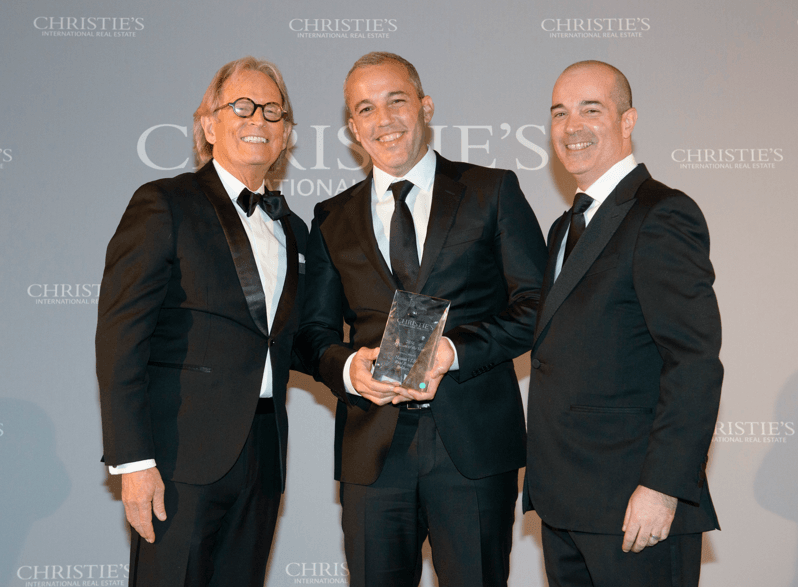 The ceremony took place at the culmination of the Annual Global Conference, where Christie’s affiliates from 48 countries celebrated business performance in 2018. 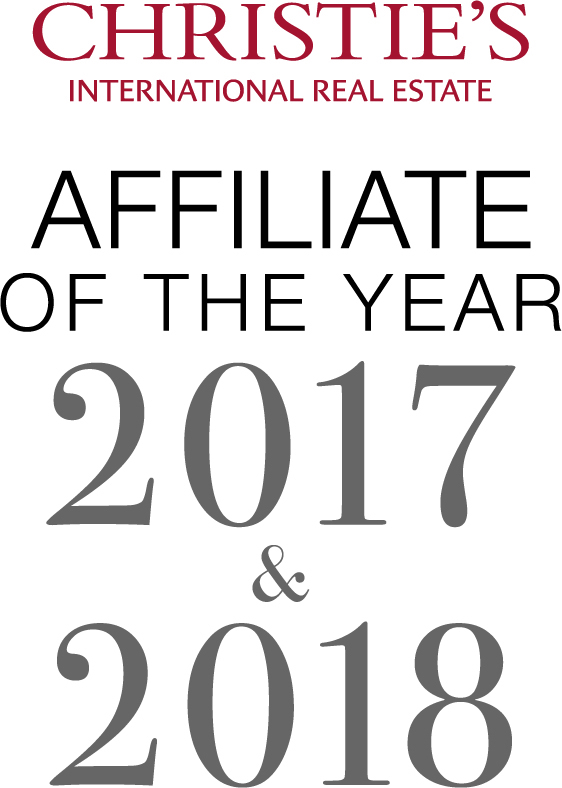 This high honor follows on the heels of Hawaii Life’s win as Affiliate of the Year for 2017 in the Large Market category. As we celebrated our 10-year anniversary as a company in 2018, we continued to push for excellence, expanding more broadly into the Oahu market, while continuing to provide the highest client service across the state, and leading Hawaii’s luxury market in both listings and sales. Despite a number of natural disasters across the state, Hawaii Life as a company achieved $1.7 billion in sales in 2018. Christie’s Executive Director Zack Wright speaking at Hawaii Life’s Worthshop event in December 2018. Matt Beall accepted the crystal obelisk trophy at a black-tie dinner at the exquisite Palace of Versailles in the Gallery of Great Battles, a venue not open to the general public, making the evening all the more special. He was unaware of the company’s win until that evening’s announcement by Zackary Wright, executive director of Christie’s International Real Estate, before a crowded room of network colleagues. 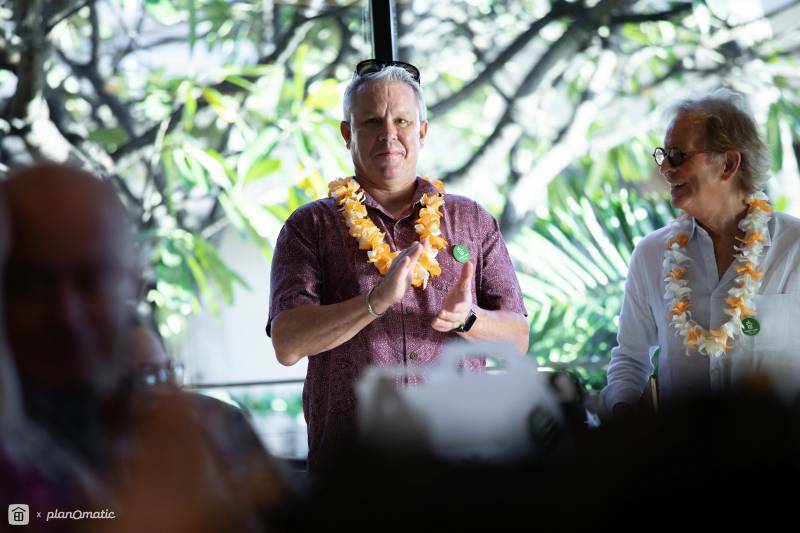 Winston Welborn, Hawaii Life Founder and Chief Design Officer, with Zack Wright of Christie’s at Worthshop 8 – Hawaii Life’s annual conference series held in December 2018 at the Mauna Kea Beach Hotel on Hawaii Island. 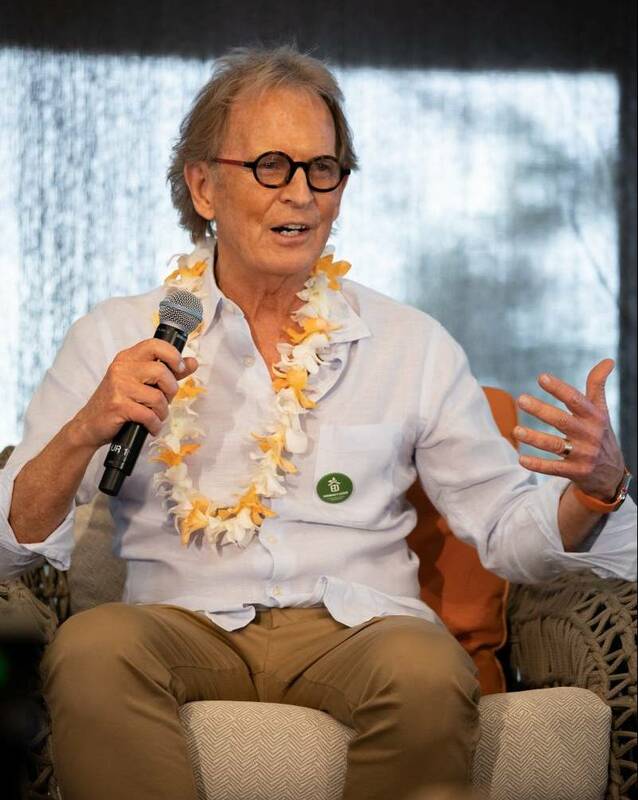 Christie’s noted that in 2018, HL1 Director Neal Norman made history with the top sale in the state, which was $46.1 million estate on Kauai, the highest priced property ever sold in the state of Hawaii. Christie’s also made mention of Hawaii Life’s philanthropy through the Hawaii Life Charitable Fund, which contributed nearly $200,000 for disaster relief after flooding and wildfires in 2018. Christie’s International Real Estate has successfully marketed high-value real estate around the world for more than 30 years. Through its New York City brokerage and invitation-only Affiliate network spanning 48 countries and territories, Christie’s International Real Estate offers incomparable services to a global clientele at the luxury end of the residential property market. The company has offices in London, New York City, Hong Kong, Moscow, Los Angeles, Chicago, and Palm Beach, and its affiliated brokerages have recorded approximately US $500 billion of real estate transactions over the last five years. (Data as of March 31, 2019). For additional information, please visit www.christiesrealestate.com. Atta Boy Matt and Winnie ! Good Job Hawaii Life and Christies!